It had to happen ! The world's longest running production motorcycle finally acquired a brand new engine, and a complete facelift, after 55 years. The 500cc lean-burn engine was designed and developed in conjunction with the power-train systems company AVL of Austria, offering 25 bhp power output and full compliance with incoming revised emissions regulations for Europe and North America. Modified frame with new front forks , mudguard and disc brake. Avon Super Venom and Roadrunner tyres. Restyled panels, indicators and tank badges. Front brake: Single disc, 280mm dia. This was developed as an integrated package to provide a modest improvement in both torque and horsepower . It incorporated a 32mm Dellorto carburettor, modified inlet air filtration system, and a road legal free flow silencer to produce a deeper exhaust note. 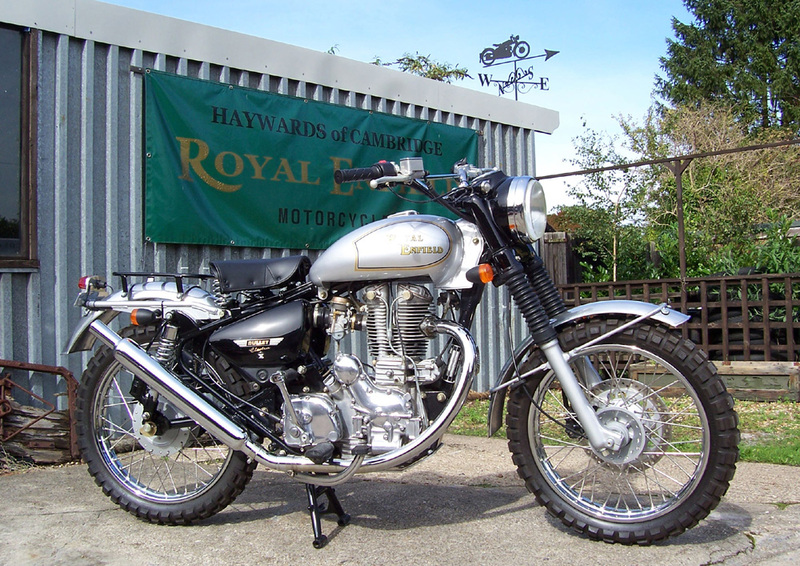 Royal Enfield owners are often keen to add accessories and individualise their motorcycles. 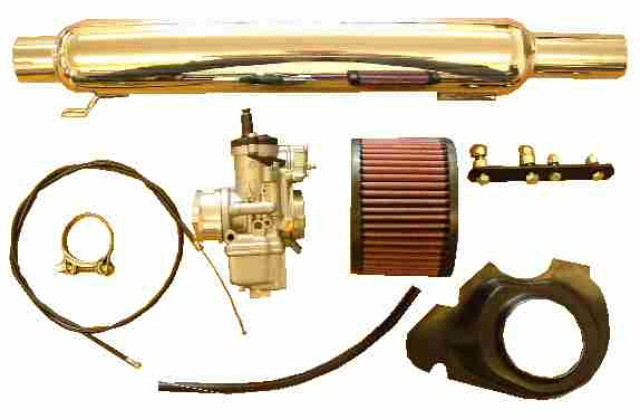 The Highway kit was designed to suit UK roads and riders, adding performance and changing the character of the engine in an effective way without compromising its reliability. 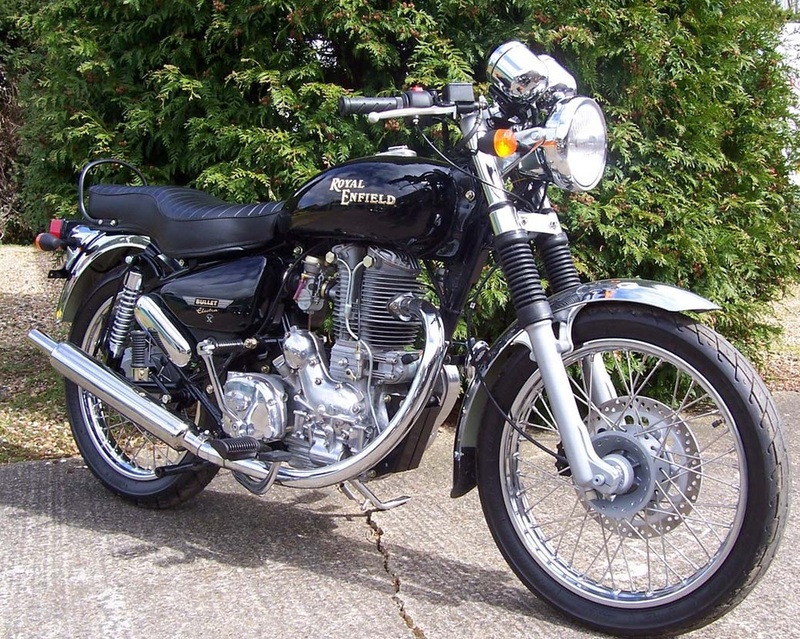 Three limited editions were launched at the NEC Motorcycle Show in November 2005 to widen the traditional appeal of the Electra range, followed shortly afterwards by a host of Haywards Dealer Specials. "On the move, the XS is immensely manageable, surefooted and manoeverable, with a tight turning circle that puts most modern bikes to shame..." Motor Cycle News, February 2007. 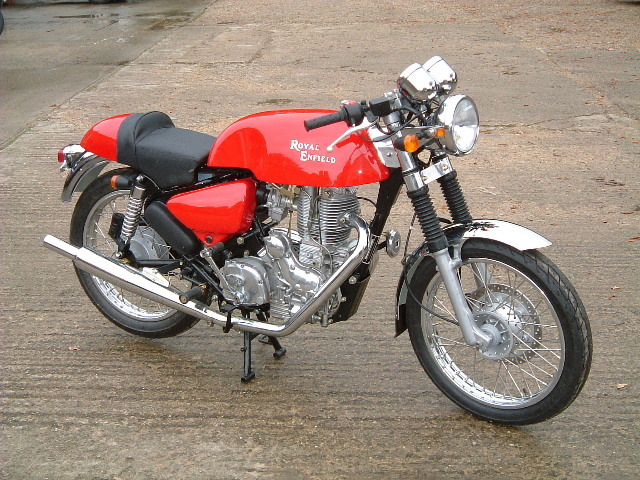 The Bullet Electra XS was developed by Royal Enfield’s UK distributor, Watsonian Squire, in response to requests for a machine more in the style of the Company’s sports models of the 1960’s, such as the Continental GT and Interceptor. 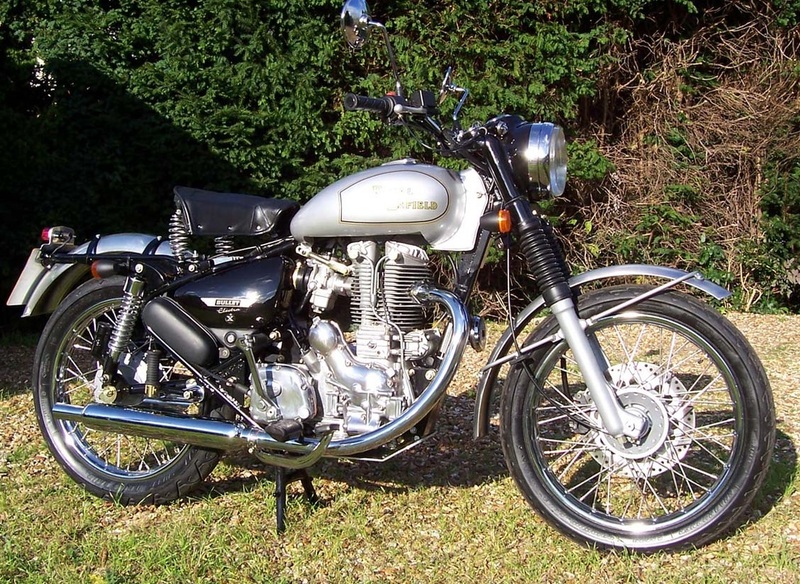 The most obvious changes were to the front end, where chrome speedometer, rev counter and headlight unit replaced the nacelle unit that has served the Bullet for over 50 years. Flat handlebars completed the look and help to create a more sporting riding position. 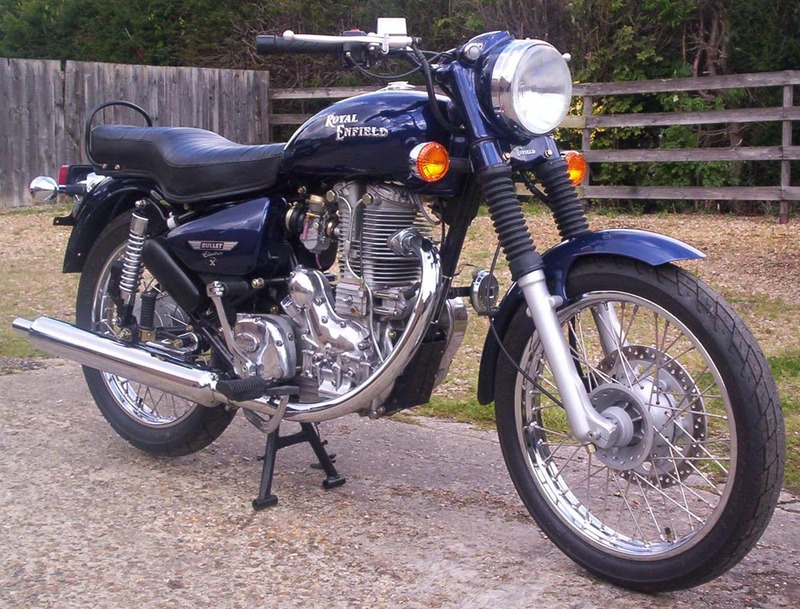 The Electra XS was powered by Royal Enfield’s new alloy lean burn 500cc single cylinder OHV engine, which delivered over 80 mpg (there were several independent reports of 100mpg plus) giving this motorcycle an impressive tank range of 250 miles. It was also fitted with an upswept sport silencer that gave a crisp authentic big single exhaust ‘bark’ and the added benefit of boosting power output by 10% compared to the standard model. Stopping power was provided by a competent 280mm single caliper front disc brake, while Avon Super Venom and Roadrunner tyres worked with gas filled rear dampers to give a reassuringly firm and responsive ride. 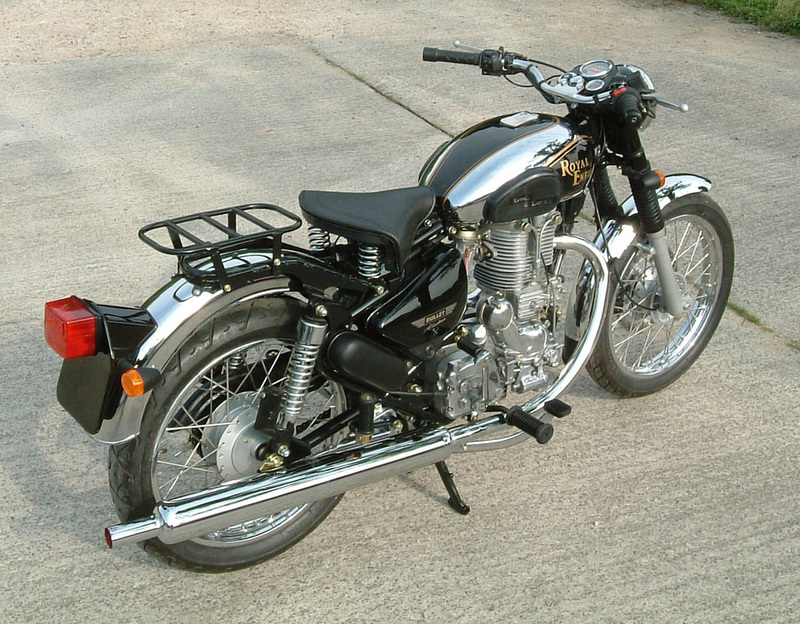 The Bullet Electra XS was produced in gloss black with chrome mudguards.